Our easy to use survey tool allows you to create and edit surveys in no-time right from your browser. Choose one of our templates or start from scratch. We provide you with the tools to create efficient and good looking surveys from which you can gain valuable insights. 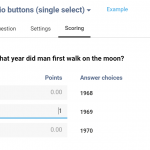 Customize your respondents’ experience using branching and display logic. 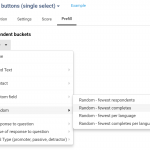 It allows you to show or hide pages for respondents depending on their previous answers or meta-data such as custom fields, language, gender, etc. Other options to further customize your survey are using variables, validation, piping and extraction. 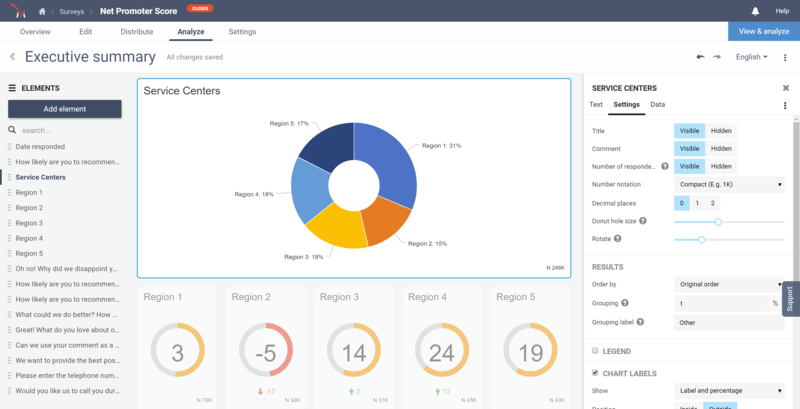 Collect answers fast from your target groups and maximize response via multiple channels while still tracking respondent sources. 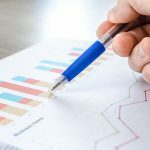 You can generate reports with charts in native formats, such as Excel, PowerPoint, Word, PDF, SPSS, CSV, etc. And because of CheckMarket’s multilingual capabilities, you can also report on your data in multiple languages. 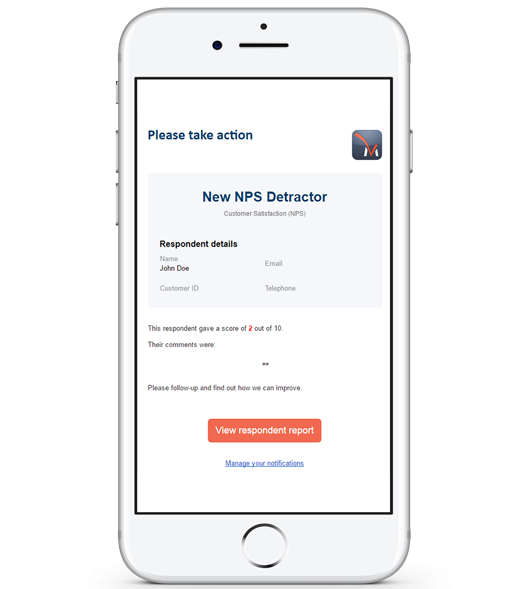 Automated notifications give you the opportunity to quickly interact with your respondents. Set conditions based on how respondents answer surveys and when these conditions are met, they trigger the notifications. 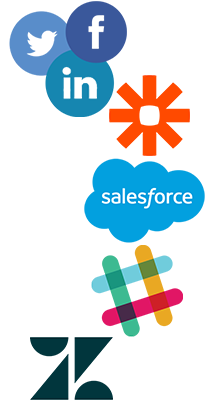 Examples are: sending an email, a text message or Tweet; generating a lead in Salesforce; creating a Zendesk ticket and sending a message in Slack. Notifications can also create new contacts for follow-up surveys. This will improve your work flow drastically. If used correctly, automated notifications can win back at-risk customers before it is too late. They allow you to communicate with dissatisfied customers to learn and repair damaged relationships through coordinated follow-up. 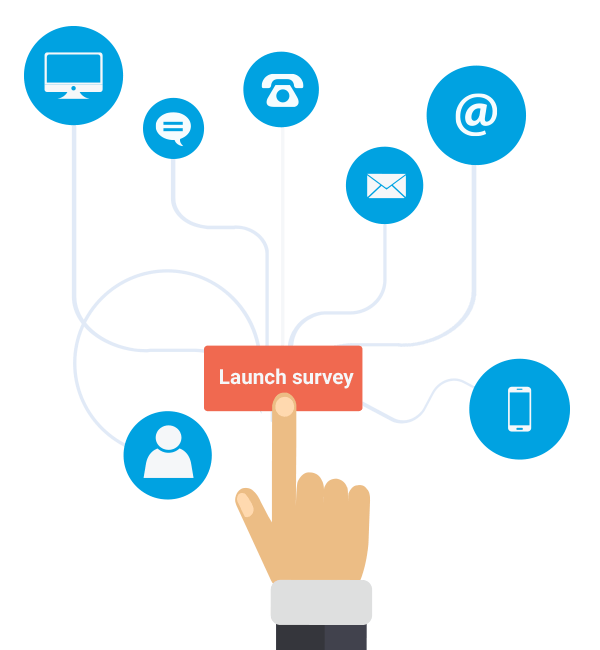 Collaborate on your survey projects by adding other users to your account. You can add an unlimited number of colleagues at no extra charge. Once a user has been created, they will be able to sign in using their own email address and password. Determine what a user can or cannot do by granting specific rights, roles and permissions. With Single Sign-On (SSO), your users can log in to our tool using your company’s internal login system. 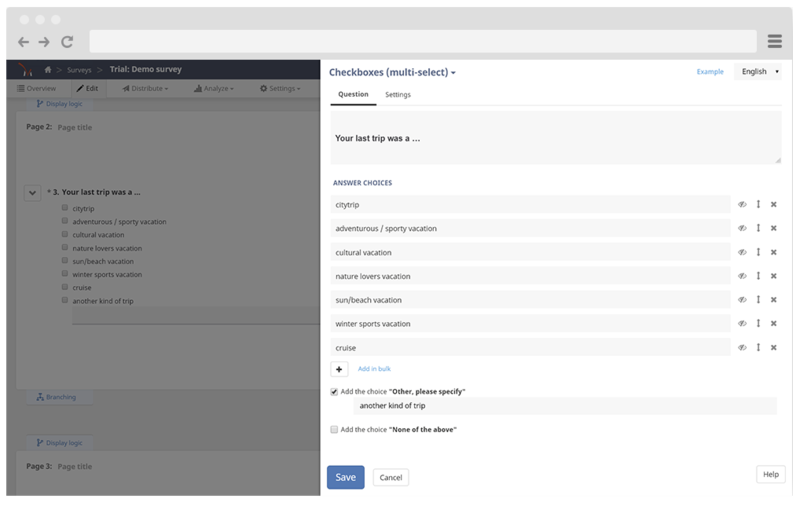 This allows you to control access to CheckMarket across your company. Use CheckMarket as a white label by using your own (sub) domain name. All email invitations and URLs come from and lead to this domain. If someone tries to find out who the domain belongs to, it will lead back to you. This adds an extra layer of trust and customization to your survey projects. Security and privacy are our highest priorities. That’s why our platform is hosted in multiple datacenters on multiple continents and all data are stored in Class A datacenters with extensive physical security. We also secure surveys with SSL Encryption to assure participant privacy and information integrity. Other security measures are activity log and two-step verification, and we’re fully GDPR compliant. Create a free trial account and discover the possibilities of our survey tool.